The last time I posted, April had just begun now we’re more than halfway through the month. Crazy, right?!? 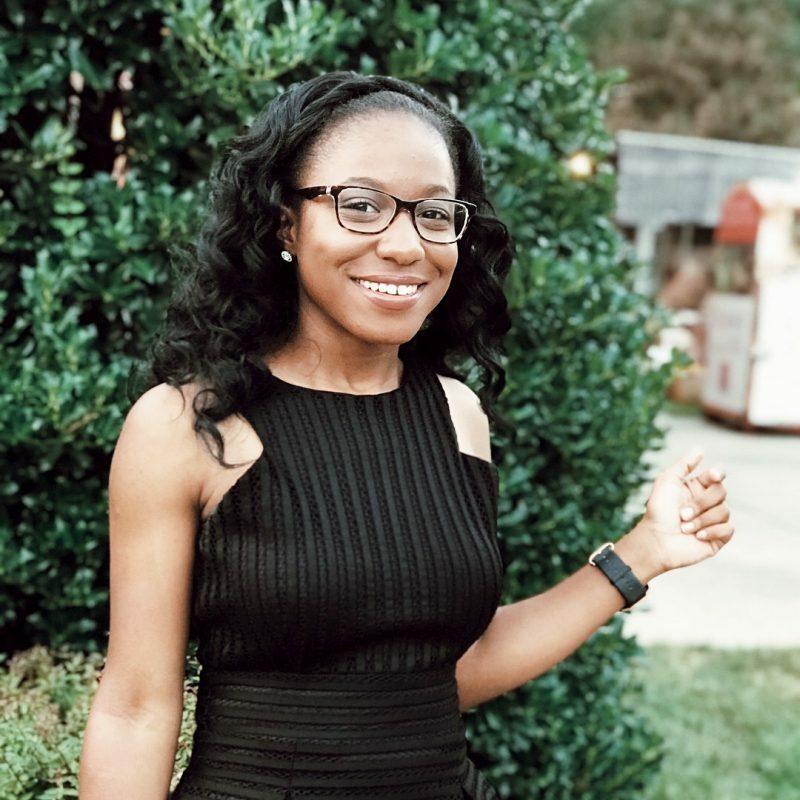 I’m writing today to share my last prom experience with you all. First, let’s visit some pictures from last year. As I said this was my last Prom and I have never not been so excited for anything in my life! Okay, maybe that was bit of an exaggeration, but the days leading up to prom had been a bit of a drag. I put half the blame on school and the rest of it on my procrastination. (School work and Scholarship deadlines pile up faster than anyone would think, I promise). As someone who prefers jeans and a t-shirt ( but mostly sweatpants), elegant events such as this one have never really excited me that much. *shrugs* Today I’ve loaded this post with tons of pictures and little tidbits from my day. I woke up and got my hair done around 9 and from there we went to get my nails done. I got tips and they’re gonna take some getting used to for sure. After that, we went to go get my makeup done. We were done with all of this major stuff by around 5 o’clock, which is surprising because last year my time schedule was all over the place. I went to my Granny’s house and took pictures before heading to Outback to meet my group. It was so good seeing them because we haven’t hung out since our last pep rally in October. We got to prom at 9, but something horrible happened. I forgot my I.D.!!! You need a picture I.D. to get into the prom and I forgot that it was in my phone case which I had left with my parents. I called them to see where they were so they can bring it to me, but they were all the way in Doswell picking up my sister from work; that was at least 45 minutes away!! All wasn’t lost, I had them send me a picture of my license and gladly it sufficed. My friends and I finally got into prom and I have to say, it was much more fun than last year. They actually played music that everyone would want to hear. The lights came on at around 10:15, signaling that it was time for us to go. We headed to post prom at a sports park named Rise; it was extremely fun. There was a magician, Chick-fil-A, caricatures, prizes, moon bounces, money booths, etc. At the end, I won $50!!! My “mommy” was persistent about me looking my best, I think she was more excited for prom than I was. For example, “You need dangly earrings” or “You need sparkly shoes”, but I love her!! They waited with me while my parents were sending me pictures of my I.D. 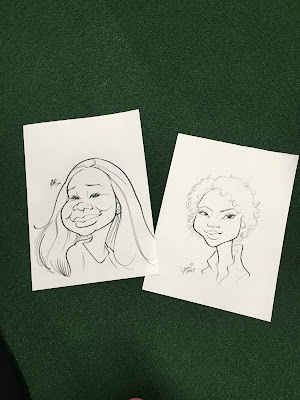 Patrice and me unintentionally got our caricatures done at the same time. My sister, Patrice (left), is a mega- socialite. It was only right that I invite her to post prom. This obstacle course was my favorite, it reminded me of WipeOut. Card games, beyond my level of expertise. I won this lollipop. They normally sell these for $1 at school and I never got the hype until I tried it.